Scrum is a simple framework which believes in responding quickly to changes in business environment and the ability to respond to changes is one of the reasons that made Scrum popular. The Product Owner is responsible for getting the Product Backlog ready and prioritizing the items in the Product Backlog. 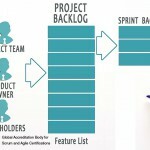 The Scrum Master and the development team will use the Product Backlog as the basis for planning the Sprints based on the priority of the items listed. We could come across situations where the product owner has to decide to add/remove any item from the Product Backlog or change the priority of the items listed in the Product Backlog in the middle of a Sprint. This could be a challenge for the Scrum Master and the Development Team as it would hamper the Sprint in progress, especially changing the priority of the backlog items. 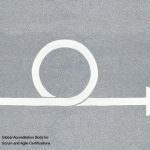 Even though Scrum has enough room for responding to change, the mid-sprint alterations should be kept minimal and should not be tolerated unless very badly required. The sprint backlog user stories must not be altered in the middle of a sprint except in the rare scenario something far-reaching emerges that can’t wait until the next sprint. There are several negative implications on the Scrum team when a mid-sprint change is required. Mostly in such cases, the current Sprint will have to be stopped and a new Sprint will have to be initiated right from the Sprint planning stage. This would affect the morale of the Scrum team and the team will lose its momentum. Also, there will be a great deal of time loss and delay in product delivery. 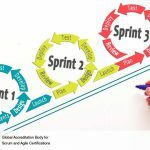 Having said that, if the task is something of top priority and cannot wait till the next sprint, then the team should have the flexibility to include it in the current Sprint if possible or kill the current sprint and start a new sprint. In such cases it’s up to the Scrum Master on how he handles the situation. 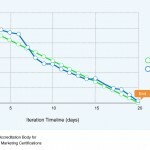 It has to be noted that adding a new task to the current sprint could cause difficulty in managing the Burn-Down chart. The Product Owner has an important role in minimizing/avoiding mid-sprint changes to Product Backlog. The PO should have clear visibility and thorough idea about the needs of the customer and the end product he wants. This would help the PO in preparing the Product Backlog meticulously; prioritizing the back-log items accurately and minimize drastic pop-up of business requirements at a later stage.